The concept of FIRE in planning your personal finances and setting your life’s goals is really catching fire globally. Now, many Indians are opening up to this unique concept. What’s FIRE all about? 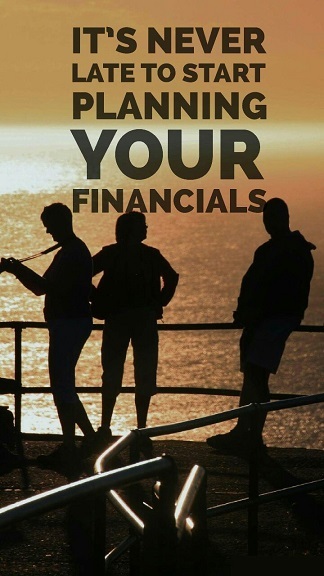 Well, FIRE refers to Financial Independence and Retire Early, the radical approach to saving way beyond your usual means and adopting a frugal living so you can save and invest smartly. There are two parts to this concept – financial independence and early retirement. Both these concepts are closely related but are not overlapping. But both approaches point in a common direction, smart saving and smarted investments so you can live happily “ever after” – at least for a considerable period of time! Let’s find out a little more about this concept of FIRE, or financial independence and retire early, shall we? Why is FIRE so critical? Most of us are tired of battling the corporate stress – with our haphazard lifestyle, food, sleep habits, health issues, and the overall grind. Many of us sooner or later land up experiencing a complete burnout even in our 30s. This being a global syndrome resulted in the FIRE movement taking shape in the Western world. Youngsters, either experiencing the stress themselves or watching their parents’ lives fall apart, are deciding to alter their life goals. They are making up their minds to become financially independent by their early 40s and even better, retire by this age! But early retirement is definitely a phenomenon we have seen over the years in India – the concept of voluntary retirement has been around for quite some time. However, the trigger that initiated this move was often money related – an urgent need for money in the family so you could use your gratuity or early retirement corpus. But now the need to retire early is to satisfy your need to appreciate life better. This is where FIRE becomes so critical. But before all this, let’s find out what being financially independent and retiring early really mean. If you are financially independent, then it means that you do not need a job to manage your day-to-day, monthly, and yearly expenses. It also means that you have alternate means of generating income – through your well-planned investments, savings, and real estate. This empowering situation gives you the ability to choose whether you want a job or not. It gives you the power to determine what job you need, how many hours in a day you would work, and what level of stress you would want to take for the sake of your work. But if you want to retire early, you are deciding to leave the rat race and take up other pursuits such as take up an NGO-focused work, build on a hobby, or take up activities that focus on your passion rather than the income that they generate. But given today’s extended life expectancy, you really would need a super robust financial backup to confidently step back and jump into the FIRE way of life. FIRE would definitely require you to recalibrate the pace of your life – it would mean saying no to luxuries and watching your spends carefully. It could also mean earning much more than what you initially planned so you can build a strong retirement corpus. 1. What does retired life look like to me right now? This will help you determine how much you will need to save. 3. Given my current lifestyle and my ability to pull the strings of my purse, how much can I actually save? FIRE requires you to save at least about 70% of your yearly income. That really gives you nothing much to spend on your essentials and otherwise. 4. How do you define luxury? Each person’s definition of luxury is different – so take stock of your spending habits before consciously saying “no” to “unnecessary expenses”. Remember that this is not a personal decision but it involves the entire family, including children, which might make this decision much more challenging. 5. Would you want to start your FIRE journey by cutting down luxuries or by stretching yourselves by adding as much money as possible to your fund? 6. How well do you know about your investment portfolio? Do you know everything about all the financial instruments available to you so can make smart investment decisions? There are many more such critical questions you should ask yourselves before you make this critical move. You will also definitely need the help of an expert financial advisory service or an investment advisor who can clear the fog around what your financial future will look like. PrognoAdvisor is your trusted online financial planning service from India, with extensive expertise in understanding your specific financial and life goals and guiding you diversify your financial investments and plans with confidence. Connect with our financial advisors at Prognoadvisor.com to understand how you can simplify the entire process of personal financial planning.